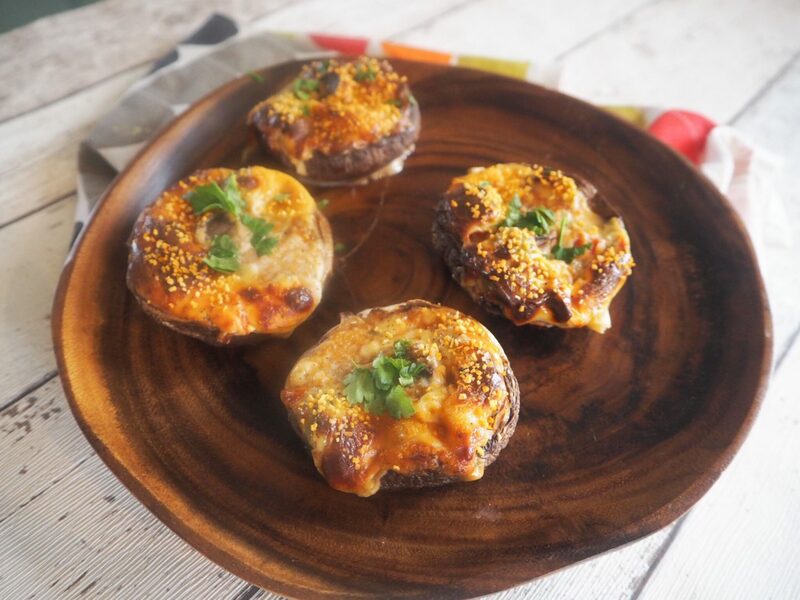 I just love stuffed mushrooms and this dish is perfect as a starter or a lunch. Pre-Heat the oven to 200 degrees celsius and line a baking tray with foil. Place the mushrooms upside down one the baking tray and drizzle with oil. In a bowl, mix a tub of cheese spread, olives, lemon thyme leaves and feta cheese. Fill each mushroom with this mixture. Top each mushroom with breadcrumbs. Season with salt and pepper and bake for 20 minutes in the oven. Once ready, garnish with chopped parsley and eat hot. Primula have an amazing range of spreads which taste fabulous on their own or can be used to spruce up a dish!